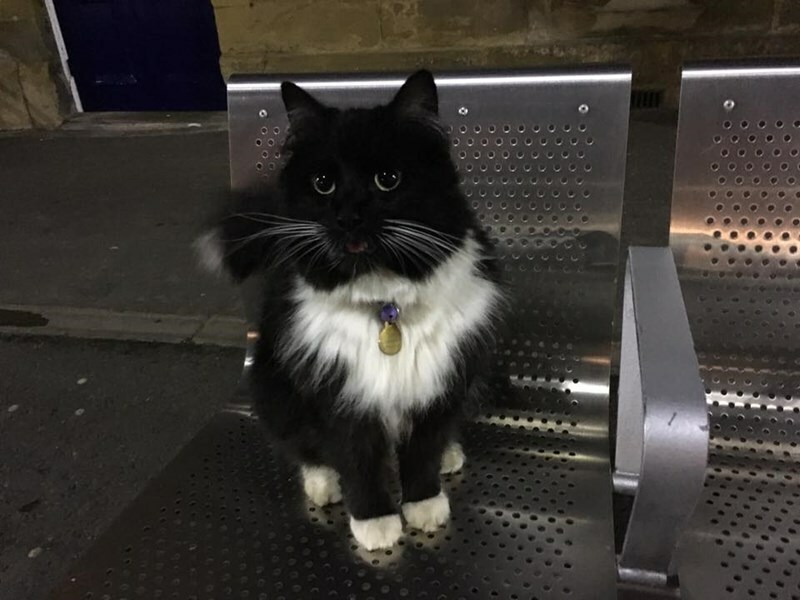 Felix used to be an everyday cat, just working her day job keeping mice at bay at Huddersfield Station in West Yorkshire, England. She was brought in at only nine weeks old to help take control of the pests in the station and she really grew into the role. After five years of hard work she finally got the promotion she deserves. No longer is she a simple mouse catcher. 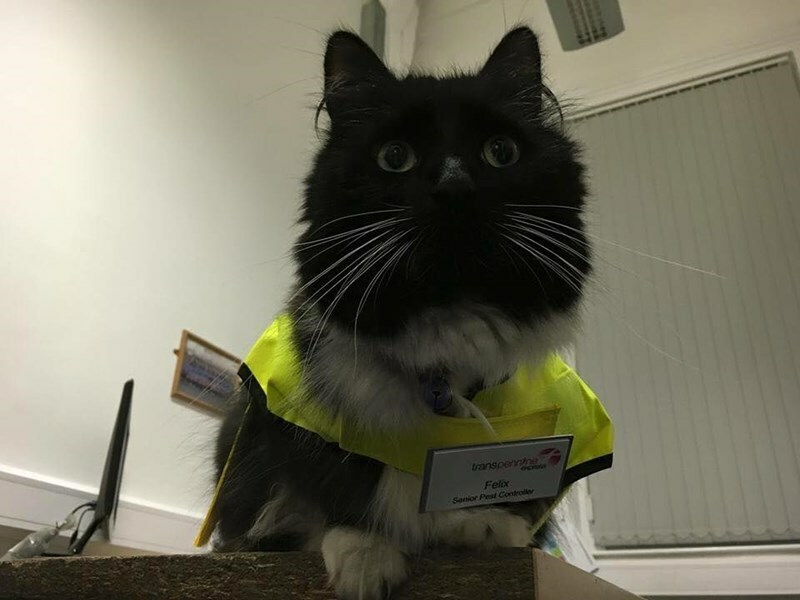 She is now Senior Pest Controller, complete with the adorable visibility jacket, name tag and authority that goes with the title. Let's hope she uses her newly appointed power benevolently. Is This What You Look Like Right Now? Ever Wonder What it Would Be Like to Work With Your Cat? U mad, grumpy accounting lady? "I Have Years of Experience, Ma'am!" Your cat (named Meatloaf, of course) and some cash for pizza and beer. Thanks, Dad. I no delet, becus it soundz delishus. Bought to make it easier to see cat pictures, used to scare away actual cats. The internet age.